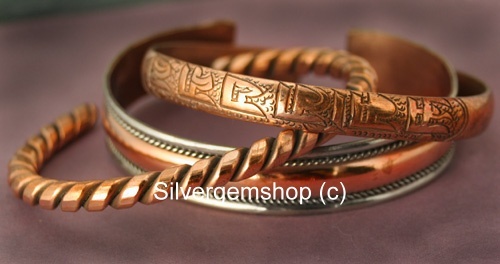 Nice selection of copper alloy bracelets chosen from our current and last month's stock. Chosen at time of shipping. This is a rate of $3.30 per bracelet.